Explanation: What's behind Saturn? The first answer is the camera itself, perched on the Cassini spacecraft currently orbiting behind the planet with the most grand ring system in our Solar System. 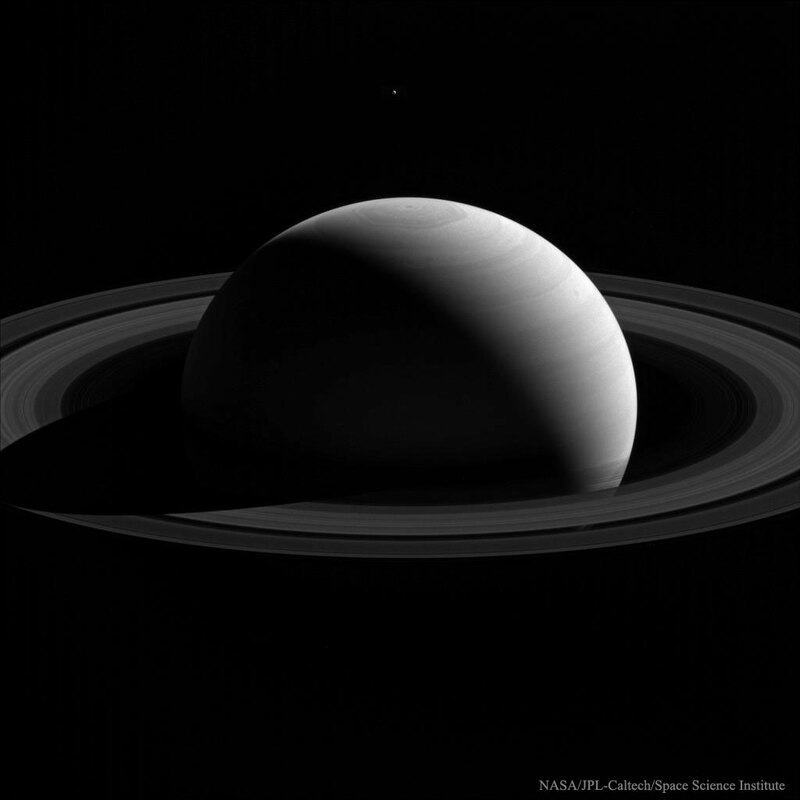 The unusual perspective places Cassini on the far side of Saturn from the Sun so that more than half of Saturn appears dark -- a perspective that no Earth-based observer could achieve. 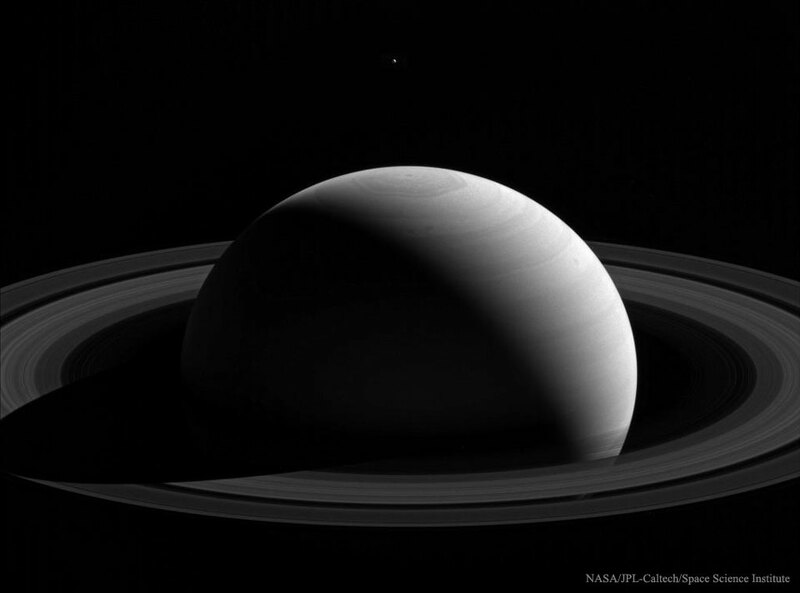 Behind Saturn, in the context of the featured infrared image, is Saturn's moon Tethys, visible as the small speck above the unusual hexagonal cloud pattern that encompasses Saturn's North Pole. Tethys actually orbits Saturn right in the ring plane, which places the 1000-km moon much farther from Cassini than the planet itself. Cassini has been studying Saturn and its moons for 12 years, but, unfortunately, its amazing mission will soon come to an end. In order to protect life that may exist on or inside Saturn's moons, the robotic spacecraft will be directed to crash into Saturn's thick atmosphere next September.